Advanced Races 6: Kobolds is here, available in print at the Kobold Store and in PDF-only at DriveThruRPG and Paizo. Seems like a perfect time to bring this small-but-fierce monster into 13th Age as a PC race! 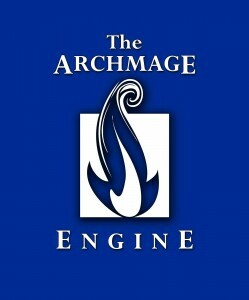 For this design I collaborated with the mighty Ash Law, head of the 13th Age organized play program. The result combines Ash’s conversion of the 4e Midgard Bestiary’s kobold with the kobold slyblade pre-generated character that I created for a Midgard 13th Age game at Gen Con 2013. When you miss with a melee attack you can pop free from the target as a free action. If you choose not to pop free you may add your Intelligence or Dexterity modifier to the damage of your next attack against this target. Champion Feat: You can now also pop free from an enemy you’re engaged with as a free action when that enemy’s attack misses you. If you choose not to do so you may add 2x your Intelligence or Dexterity modifier to the next miss damage that you do this battle. Epic Feat: You can now also pop free from an enemy you’re engaged with as a free action when an ally engages that enemy. If you choose not to do so you may add 2x your Intelligence or Dexterity modifier to the next miss damage that you do this battle. 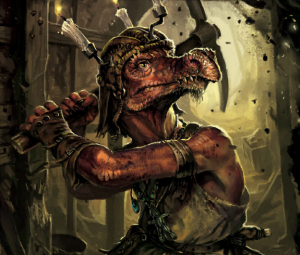 You must spend at least one background point on your kobold sobriquet: the surname given to you by the kobold community because of a character trait, physical feature, occupation, great deed or shameful event. 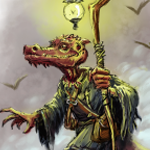 These canny survivors know the value of misdirection, so some sobriquets hide a kobold’s true nature — a kobold named Takto Damnfool might leave you holding an empty coin purse in one hand and a worthless deed to the Puffing Bridge in the other. Create your own, or use the kobold name generator. Kobold Adventurer Feat (Set Trap): Your missed attack was actually a clever ruse to maneuver your target into a hazard—you do 2x miss damage. If your attack normally has no miss damage, it does 2 miss damage. Champion Tier Feat: Your target is also dazed until the end of their next turn. Epic Tier Feat: Your target is also vulnerable until the end of their next turn. Ever curious and quick to adapt to changing circumstances, kobolds have risen in this new world of cogs and gears. 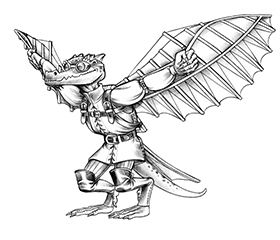 The brave little dragon-folk are miners, scouts, tinkerers, inventors, gearsmiths, alchemists… and some are also rogues and thieves. Above all, kobolds are survivors. The “Kobold name generator” link seems to be broken.